These are the formative years that put you on a lifelong course of intellectual curiosity and personal discovery. 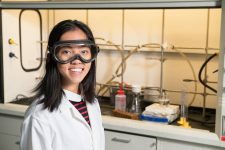 Not only does JCU challenge you to develop and hone your skills and provide you with real-world experiences, we encourage you to explore how your STEM education can be used to change the world for the better. Interested in learning more about an education that prompts reflection, experience, and action? Join us at our STEM Open House to meet faculty, staff, and students who will talk about their STEM experiences and help you discover how JCU is the place for you. Visit the University Bookstore from 11:00 a.m. – 3:00 p.m.
Take a tour of campus at 12:00 p.m.
Tailgate lunch at 12:00 p.m.
Homecoming Football Game at 1:30 p.m.
Homecoming and Family Weekend Visit Day gives prospective students and their families a glimpse of the excitement that surrounds Homecoming and Family Weekend at John Carroll University. This serves as a chance to see the Blue Streak pride that defines our community. During this visit day, you will engage in a walking tour of campus, learn the John Carroll story, have the opportunity to participate in our football tailgate and attend our homecoming football game in Don Shula Stadium. All legacy students (parents, grandparents or siblings must be a John Carroll Alum) will receive a special gift by mentioning their legacy status and completing the questions in the registration form. 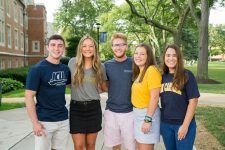 John Carroll University’s Blue Streak Preview Day serves as an informative, enjoyable experience for students and families engaged in the heart of the college search and application process. Our faculty, students, and staff will make sure your questions are answered so you leave ready to take the next step. 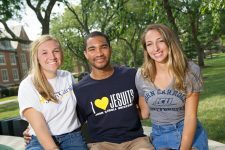 Held in the fall , our Blue Streak Preview Day is an open house-style event that allows all students (transfers and high school students) and families the opportunity to explore John Carroll in greater depth. You will be able to discover for yourself what sets JCU apart during our fall open house. 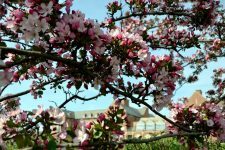 Whether you have decided to attend John Carroll this spring or are still making a final decision, this is an opportunity to meet other spring 2019 transfer students, ask any last minute questions you have about John Carroll, and enjoy lunch. You can also take an optional campus tour led by one of our student tour guides. Please RSVP by Thursday, December 13th HERE. 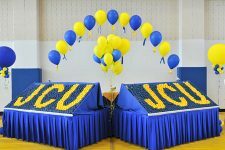 Don’t forget, if you are already committed to John Carroll, you will still attend Transfer Registration Day on January 11th to register for classes.